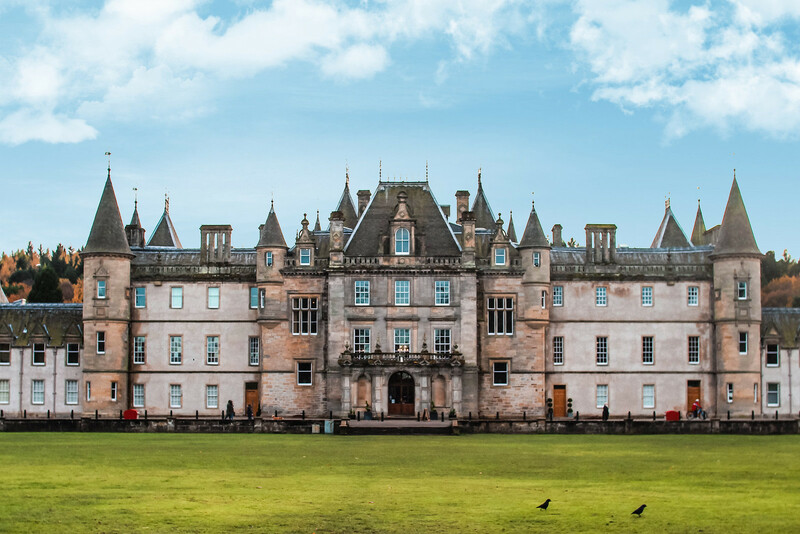 Just a short 40 minute drive outside of Edinburgh is the town of Falkirk, which sits between both Edinburgh and Glasgow. Living less than an hour away, Falkirk was somewhere neither of us had ever been to. Passing the giant steel heads of The Kelpies horses peering over as you pass on the motorway, we decided to take a look for ourselves. 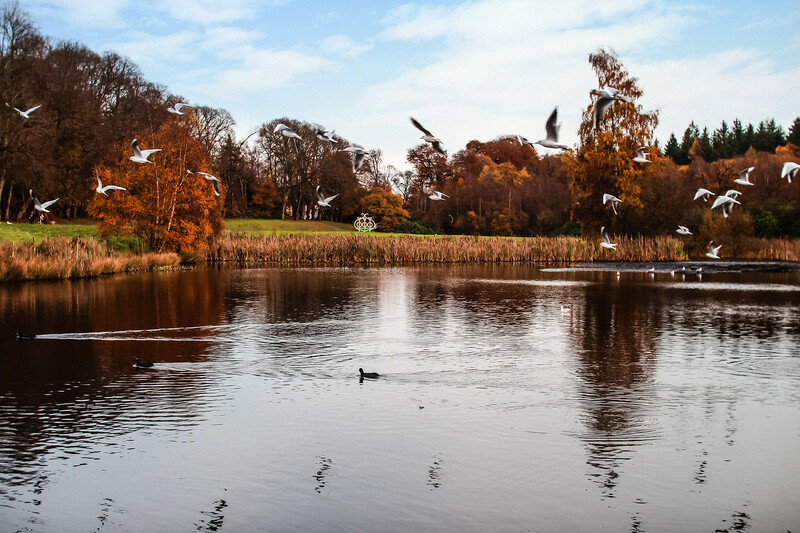 A secluded park you may not otherwise was hiding in plain view off the main road, Calendar Park is a gorgeous stop for a little peace and quiet amongst the falling autumnal leaves and swans. 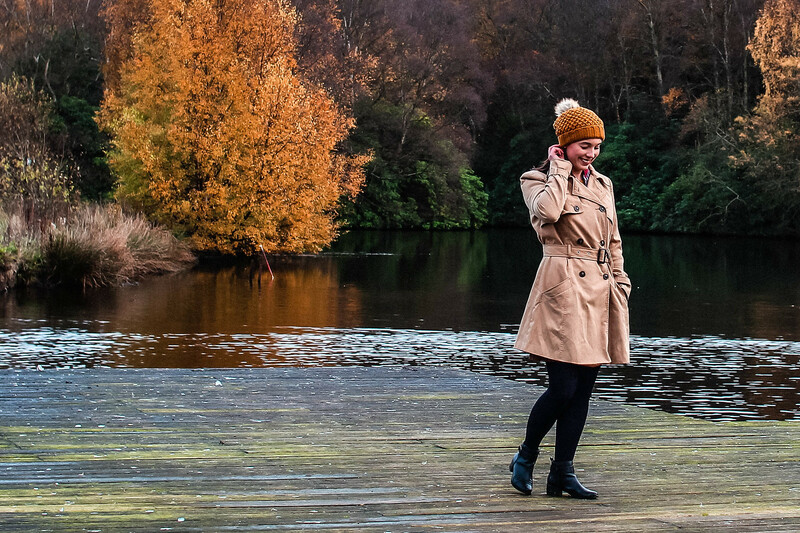 Perfect for a cold wintery walk admiring the scenery wrapped up warm. 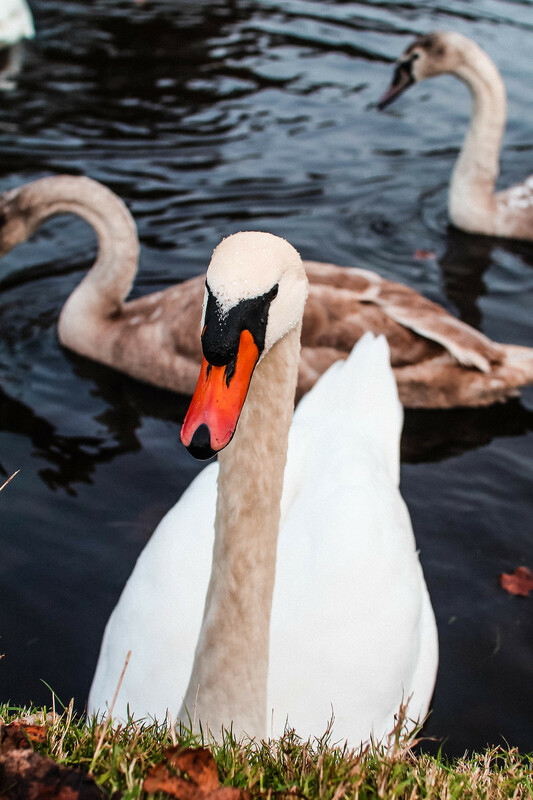 The park is free to visit and does have parking on site. 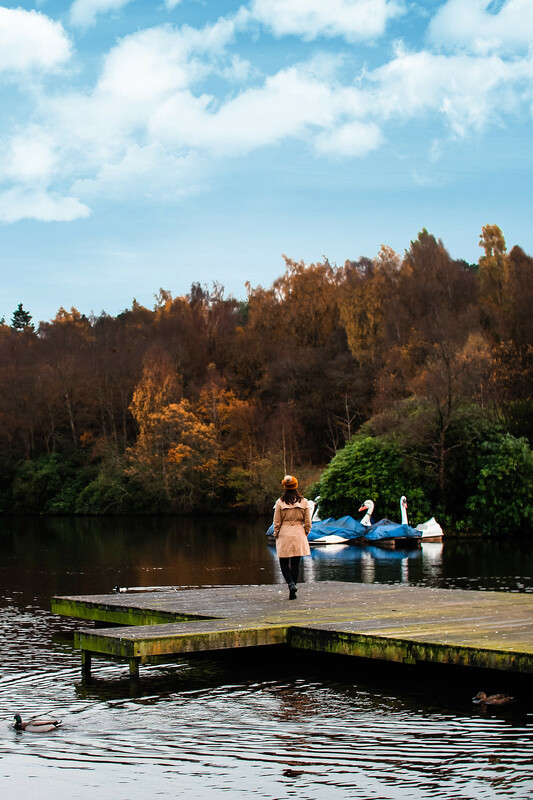 It’s only a short walk around, but there’s lots to explore along the way. Especially if you fancy venturing further up into the hills. 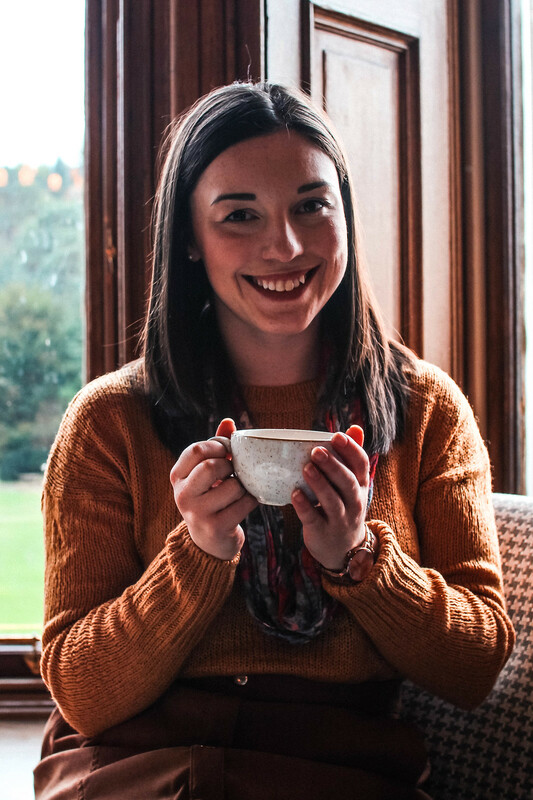 With an impressive beautiful manor house in the centre of the grounds, be sure to take a look into and enjoy your own tour around the restored Georgian kitchen and dining hall upstairs. 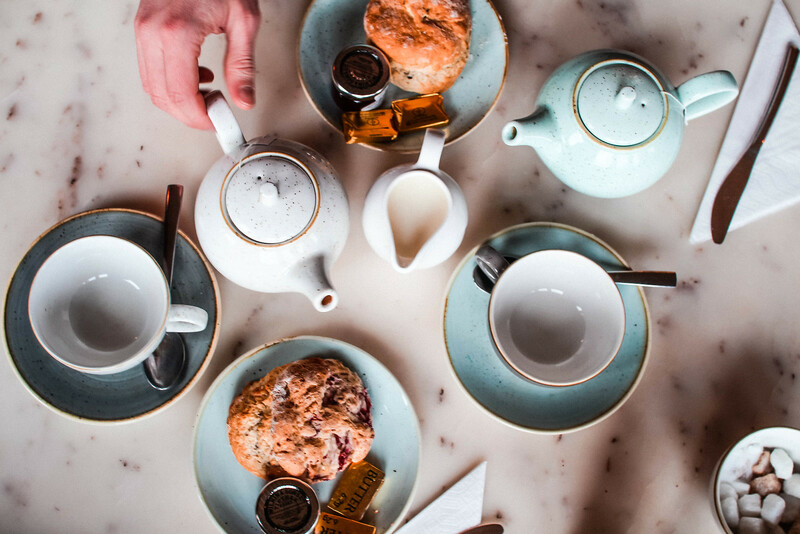 As soon as we realised there was a cafe and restaurant upstairs, we took the opportunity to warm up over a pot of tea and cream scones. The perfect way to spend a Saturday don’t you think? Sitting by the gorgeous bright windows and the prettiest of marble tables, we thawed out from the cold for a while and watched the scenery outside. 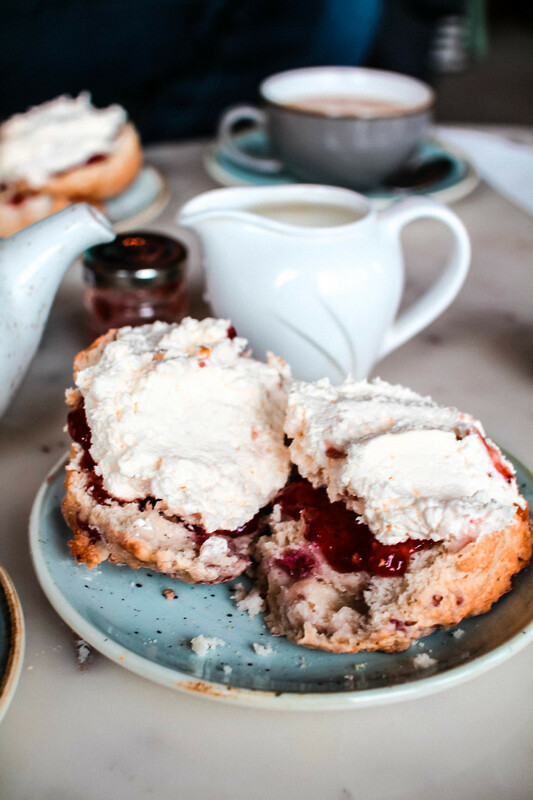 The cafe also offers a range of sandwiches, soups and even afternoon tea. For a table larger than two people I’d recommend booking and it seemed to be constantly busy on the weekends. 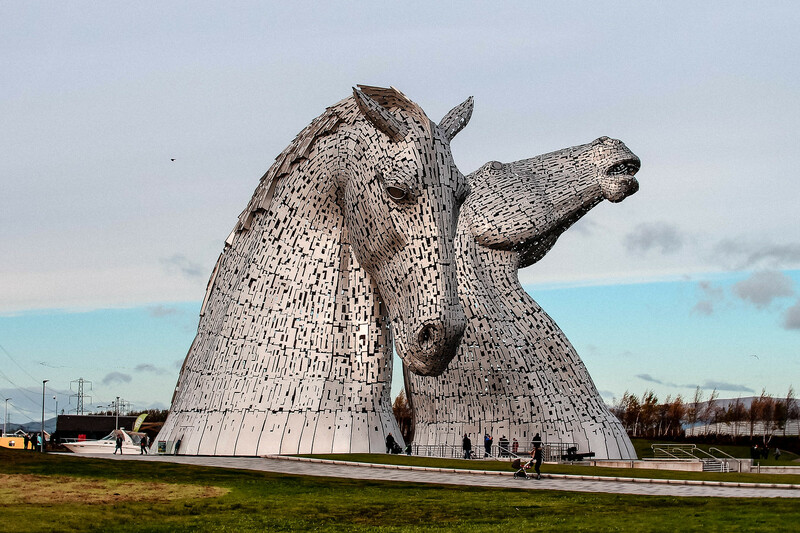 One of Falkirk’s most popular attractions stand The Kelpies as part of The Helix Project; two giant steel horses you can see overlooking the hills and from the motorway. With a nod to their historical past of pulling wagons and barges along the canal, the Kelpies are an impressive structural tribute. 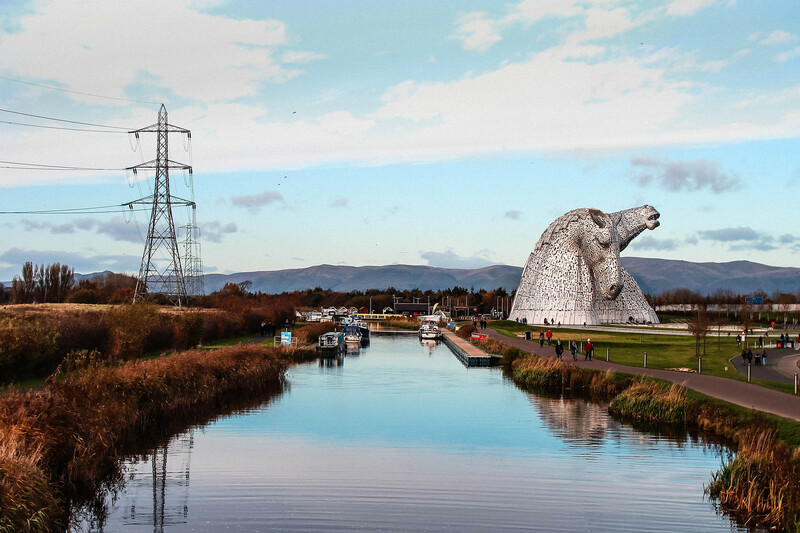 There are two different car parks available for visiting the Kelpies and surrounding canal area. The first car park you reach does involve a short walk to the structures, however it is free. You’ll find the second car park right by the Kelpies and the visitor centre, but there is a parking charge. The surrounding canal walkways and rolling hills make for the perfect backdrop. 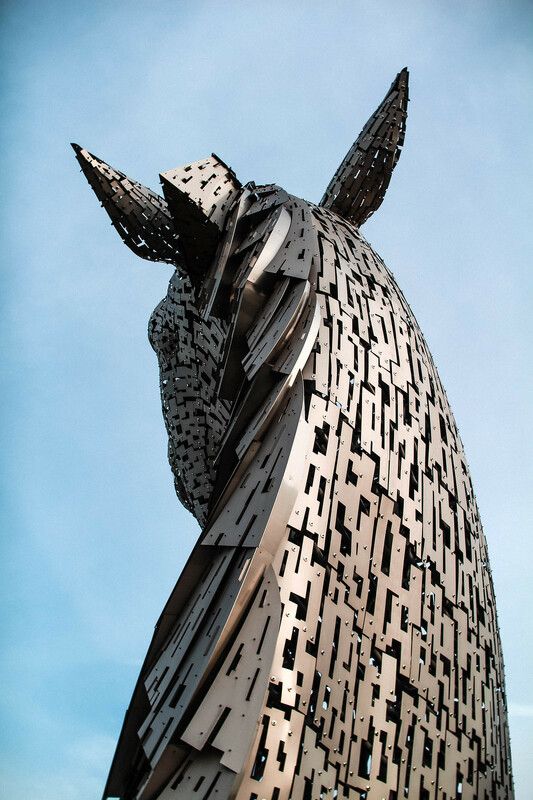 If you want to learn more about the Kelpies they also offer tours inside of the structures themselves with a guide. 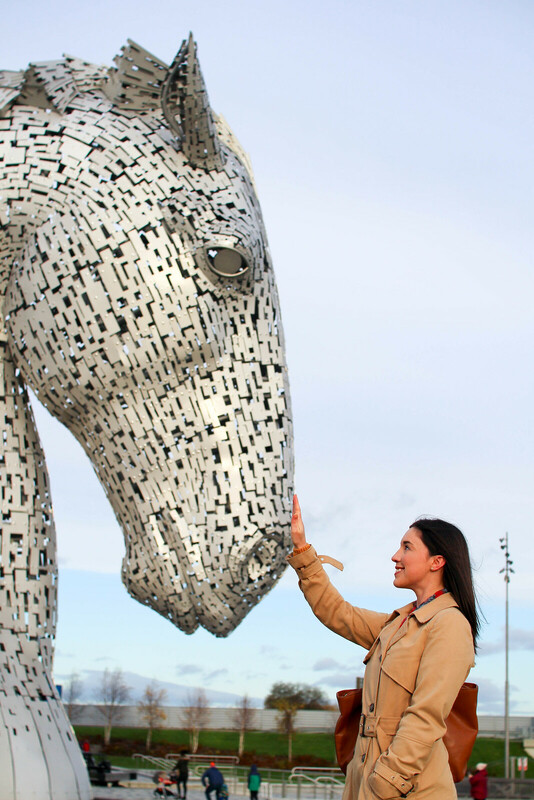 Have you visited the Kelpies and Calendar Park?